Thank you dictionary.com for the lovely definition. This strange sounding word – with a rather lackluster definition – could be the ticket to resounding success for your company. Many people don’t fully understand how the power of social media tools can boost their company’s profile and create an environment that is enjoyable for their customers at the same time. Webinars are one of the most interactive forms of social media because they have incorporated live vocal visual communication; not only can you interact with people across the world, but you can chat with them one-on-one in real-time! Webinars allow specialists within your company to really broadcast what they are good at. They allow you to draw in audiences that you may not otherwise reach by providing specialized training that is directly linked to your service or product. By broadcasting webinars, you show yourself to be an expert in your niche, which can make your product or service more compelling to the end user. Not only that, but you have full control over what your consumer learns about your product and what they do with it – you call the shots. Twitter, Facebook, Reddit, and other social media sites, come with an aspect of the unknown, which rightfully causes some hesitation. 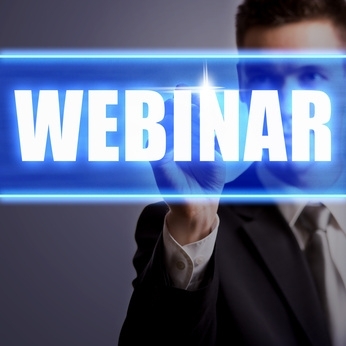 You can certainly use those other networks to promote your upcoming webinar – and you should! But when it comes to the actual production with webinars, the presenter is in control of what’s being communicated. Most companies nowadays are in the business of sales – either selling a product, a service, or an individual – and webinars are the best way for your company to warm any potential business connections you might make by first having good conversations with them. 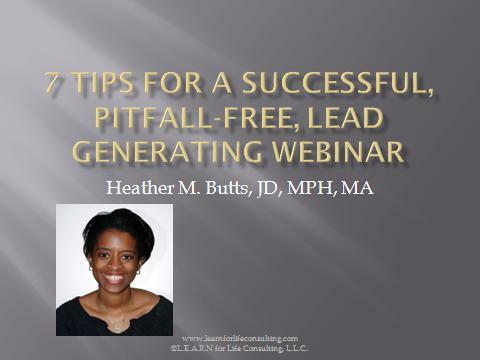 Webinars are easily linked to other individuals and can be filmed and archived, so, not only will they be good in the right-here-and-now, but they will also be good for generating leads on downloads in the future. Depending on the quality of webinar, the amount of information you are sharing, and the market you are working in, your company stands to generate a large number of good leads that are already comfortable with your product and the information you are conveying. 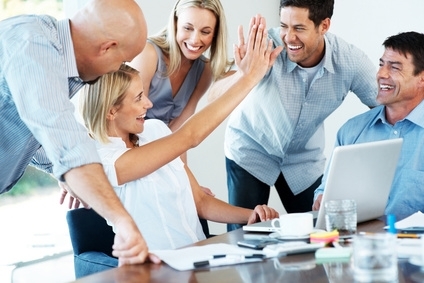 Inbound marketing looks to be here to stay. Older marketing techniques like television, radio, and print ads are starting to slip in their effectiveness – so it is important that you and your company stay ahead of the curve. Starting to host your own Webinars is a great way to attract individual customers while still promoting yourself in a broader sense. By getting started with broadcasting your own Webinars you are taking a step in the right direction as well as a step ahead of the competition. Have you decided what your plans are for Mother’s Day? Do they include all the mothers in your family? Depending on the size of your family, it can be almost impossible to connect with every mother represented. My wife has a very large family, and a majority of the mothers live far away. Of course we call and pass the phone around to send Mother’s Day wishes to those who can’t be there, but why not let them see your smiling face as well? Just bring those proud moms into AnyMeeting. With AnyMeeting, mothers who live in other states or countries and can’t join your party in person can still be there and meet with everyone on a personal level. So this Sunday when you are celebrating Mother’s Day and someone says, “I wish aunt Edna could be here,” remind everyone that she can and bring her into AnyMeeting. Oh and by the way, it won’t cost you a thing. How would you like to win a free year of AnyMeeting’s premium ad-free service and a hot Kindle Fire? All you have to do is hold an online meeting using AnyMeeting in May, and you will automatically be entered to win. The more meetings you hold, the more chances you have to win, since you will receive one entry into the drawing every time you organize and hold a web meeting during the month.